Thanksgiving is done. Black Friday is done. Cyber Monday is done. Now comes the real season of the year. Christmas! I am not ready. As usual. It seems to take me longer and longer to get into the holidays these past several years. I love Christmas. It is my favorite holiday. It just gets here before I am ready for it. I am always a month behind. And the days of the week are always in a jumble too. Comes from being retired I guess. I hope that everyone had a good Thanksgiving. We did and as always, we ate too much. Lots of turkey, homemade dressing, mashed potatoes and gravy, green beans, rolls, etc. And homemade pumpkin, gooseberry pie and peach cobbler. And whipped cream to top them all with. Yum! Then on Friday morning we went into Topeka to meet with a cousin from New Mexico for breakfast. I have put on a few pounds that I had dropped before Thanksgiving. Oh well. In January I will make another effort to try and lose weight for the year. I really do, and would like to drop 50 pounds. My Friday didn’t start off too well. One of my mares decided to colic right before we were supposed to leave for Topeka. I am glad my vet is not too far away. He got here in good time. He gave Two Socks a shot of Banamine direct into the blood stream to work faster. I walked her for another ten or fifteen minutes and when it kicked in she was feeling good. She was out walking me. I knew then she was back to normal. I was able to make breakfast and had a good visit with everyone. My husband had taken my son on in to meet with everyone until I got there. We met at Cracker Barrel and had to wait anyway. Not too long though. Considering it was Black Friday. The weather has been really nice the last few days too. Today it was in the 50 and tomorrow is supposed to be in the 60. But Wednesday is down to the 30 as highs and chance of snow on Thursday. Highs in the 20 then. Hopefully we won’t get as much snow as the Dakotas. They are getting hit again. Hopefully the ranchers won’t lose any more livestock like they did the last snow storm about a month ago. The pictures were devastating and made me cry to see so many calves and cows and other animals buried in snow and mud. I finally got my box for my computer on Saturday. Got it sent off today through Fedex. I just hope and pray I will hear something soon. This computer is working, but I miss my new one. I had Windows 7. I hear Windows 8 is not as good as 7. I am not sure what I will get if they cannot fix the computer. If it is the mother board, I was told it is cheaper just to get a new one. We’ll see. 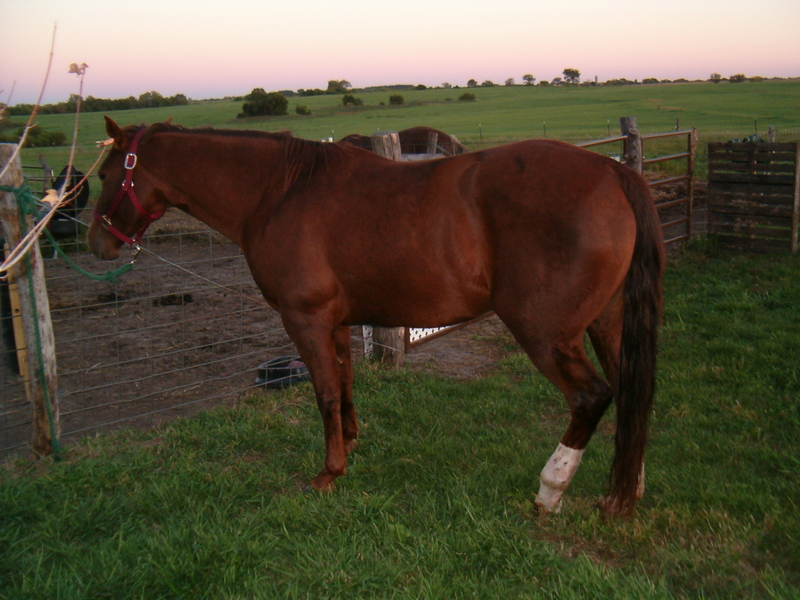 My mare that had colic. Well, I guess that’s all for this posting. I never know for sure how long to make my posts. My son says they are boring anyway. I hope I am not too boring. I apologize if I am. This is me.